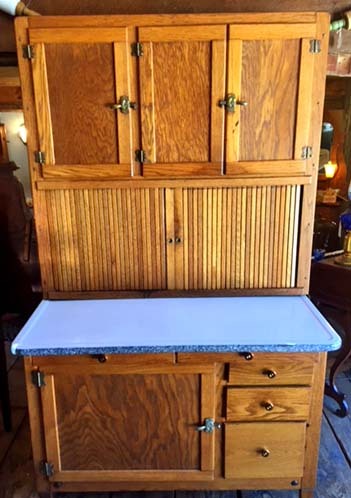 Full Height 71", Width 41", Top Depth 12", Bottom Depth 22", Ceramic Counter Shelf Extended 48"
This Oak Kitchen Hoosier Cabinet from the early 20th century is a beauty. 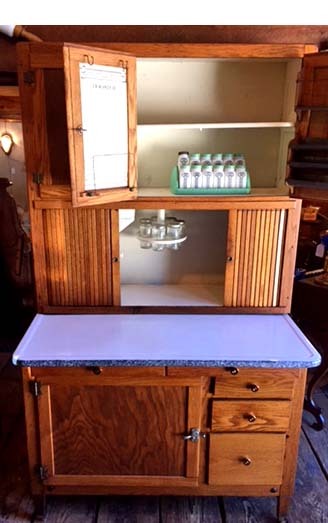 This cabinet is very complete with a cook book holder, a flour sifter, a spice carousel, 2 cooling racks and a bread drawer. 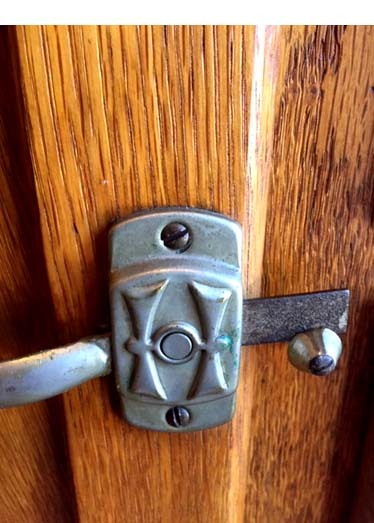 It is a genuine Hoosier with an "H" on the hardware. The cards are in correct places for an original Hoosier Cabinet. These are rare as those people who are lucky enough to have one never part with the piece. 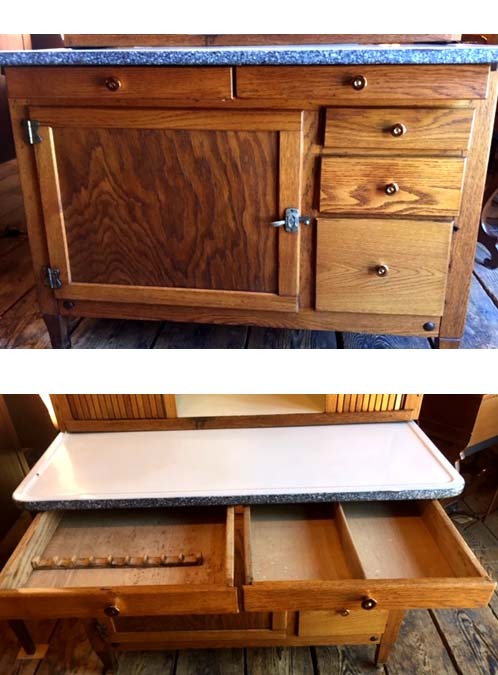 It was originally used as a baking center, but they can also be used as a pantry in the kitchen or a server in the dining room. 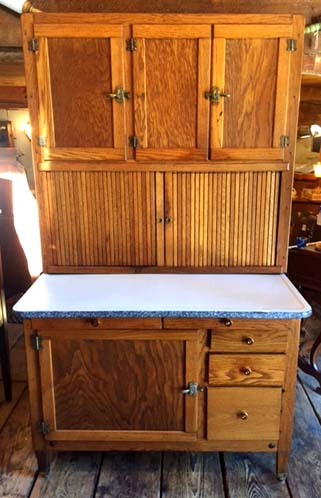 Whatever your choice, the Kitchen Hoosier Cabinet is a handy piece to have around.